Available in a polished, honed, river wash texture or wire brush finish. Nonporous, does not require sealing, low maintenance. 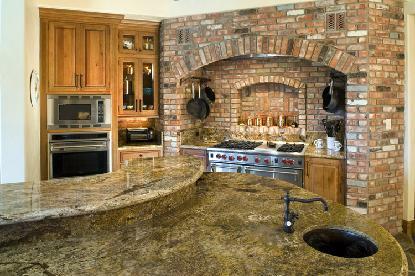 View the websites below to learn more about some of the counter top choices available! Copyright 2008 Kitchen Perfection. All Rights Reserved.